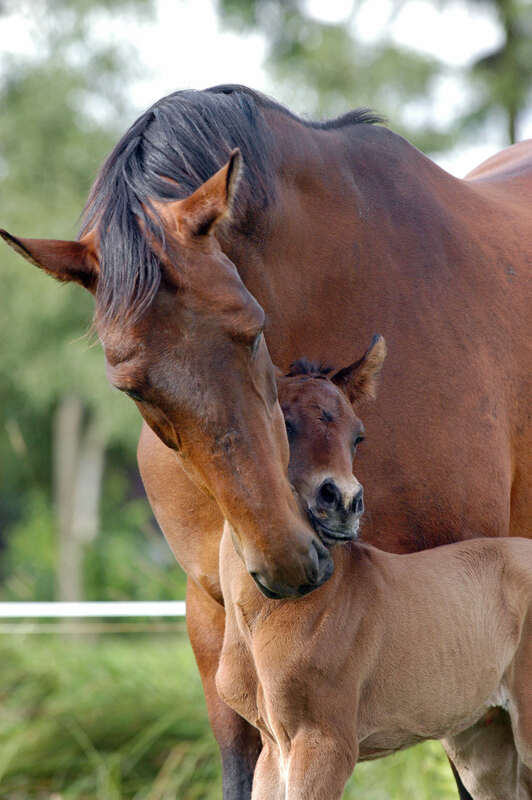 In lieu of a serious injury or illness, feed makes up the majority of the annual cost of maintaining a horse. Forage, such as hay or pasture, makes up the bulk of the diet for most horses, and in some, the entire diet. 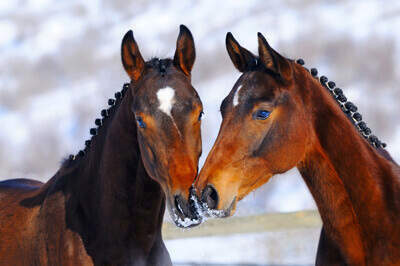 Hay is the predominant forage offered to horses in certain geographic locations; however, it must be fed at least part of the year, if not year round, in most areas of the U.S. A 1,100 lb. 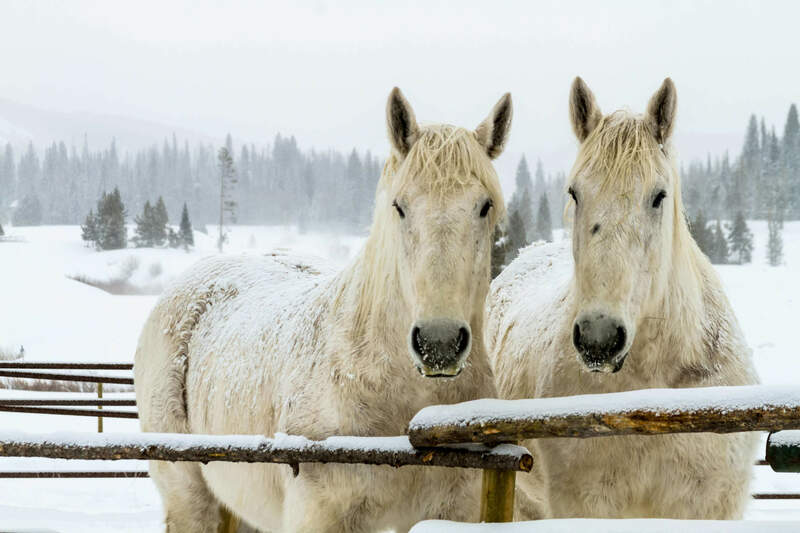 horse performing little or no work and fed only hay, will consume about four (4) tons of hay per year. If hay costs $250/ton, that equates to about $1,000/year. Considering the importance of forage, and hay in particular, it is very important to understand about hay quality and what can and can’t impact this quality. What are some ways we can maximize our nutritional return on investment? Legume: Alfalfa is the most recognized legume hay fed to horses. Other legumes fed to horses include clover, lespedeza and in certain areas, perennial peanut hay. Red clover is often mixed in hay fields and may be fed to horses, but be cautious as the mold found in some red clover may cause “slobbers” or excessive salivation. Clover hay is usually found as grass-clover mixtures. Grass: Timothy is probably the most widely used grass hay. Other grass hays include orchard, coastal and common Bermuda, bluegrass, fescue, native or prairie hay, bluegramma, bluestem, etc. Cereal grain hays are available in certain areas. Oat hay is the predominant cereal hay. Barley hay is a poor choice and should not be fed to horses because of the barbed beards on the grain. These may cause mouth irritations. Mature oat hay may have lost the seed heads (grain) and is a poor choice for hay, being little better than straw. For the highest quality oat hay, it must be cut while the grain is in the dough stage or at least when green. The nutritional value of quality cereal hay is about equal to quality grass hay. Generally, legumes are higher in protein and digestible energy, but often are dustier and may be more susceptible to molds. Crude Protein: the total amount of protein content in the hay. Crude Fiber: the historical analysis of fiber, which has now been broken down into more accurate means of determining fiber components. Crude fiber only describes the total fiber in a plant; new methods described below break down the components making up the fiber and are a more accurate means to understand the true value of forage. Neutral Detergent Fiber (NDF): the measure of the amount of cell wall components such as hemicellulose, cellulose and lignin. As NDF increases, intake decreases. Acid Detergent Fiber (ADF): the measure of cellulose and lignin. As ADF increases, digestibility decreases. Pectin: cell wall component. Often called cellular glue and known as soluble fiber. Water Soluble Carbohydrates (WSC): sugars capable of being extracted in water. Fructan, a major storage form of carbohydrates in grass, is one of the better known WSC. Non-Structural Carbohydrates (NSC) or Non-Fiber Carbohydrates (NFC): consists of carbohydrates that are not part of NDF, such as starch, sugar and pectin. In general, as plants mature, NDF and ADF will increase while NSC or NFC will decrease, lowering the overall digestibility of the nutrients. Moldy or extremely dusty hay should never be fed to horses. Hay containing less than 10% NFC is better for horses that have been diagnosed with metabolic issues. Examine the leaf to stem ratio in legume-based hay. Store hay out of the weather and off of the ground. Allow room for air movement under the bales. By knowing the quality of your hay, you can properly balance your horse’s diet and ensure that he is getting the proper nutrition required. For more information about common feed profiles, or to have your own hay assessed, visit www.equi-analytical.com.